As well as translation and proofreading services for academic texts in French and in English, LGTraductions also offers a range of related editorial and linguistic support. 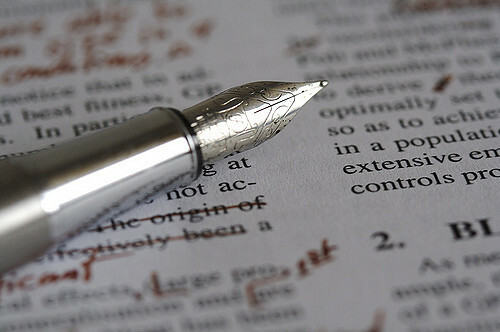 If you have an article to submit to a peer-reviewed journal in French or in English and would like to ensure it has the best chances of being accepted, then a professional editing service may be just what you need. Similarly, if you are writing a dissertation or thesis and want everything to be just right, why not work with an editor in the final stages of your work? LGTraductions offers support with all aspects related to presenting academic research. Professional help finalising your document can save you time and result in a high-quality output that corresponds to the standards of your target journal or academic institution. At the same time, you will also be able to benefit from a proofreading service and advice for improving your written style, thus better showcasing your ideas and research. Contact us for more information about our editing services. For academics editing collected volumes in French or in English, a professional editorial service can save you time in aligning all the different contributions according to the style guide used by your publisher. With strong experience working with the Chicago, Harvard, APA, MLA and MRHA styles, as well as familiarity with the rules of the French "Lexique de l'imprimerie nationale", we can offer assistance with your publication project. At LGTraductions, we can also offer language services suited to researchers' needs. If you would like advice or support in improving your academic English or academic French, get in touch to find out about the different services on offer. These include educational corrections, pronunciation training and practice sessions for oral presentations or interviews.